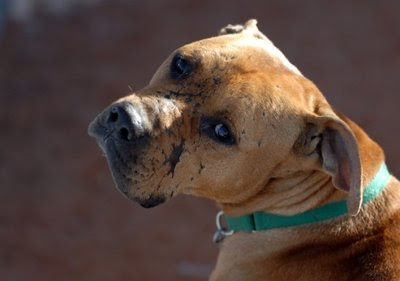 (KANAB, Utah) — A dog who played a pivotal role in saving the lives of canines confiscated from dogfighting busts finally has lost his battle with a myriad of health problems. Lucas, who was Michael Vick’s grand champion, was humanely euthanized at Best Friends Animal Society’s sanctuary Wednesday evening, June 19. Lucas was one of the 22 “most challenging” dogs rescued in April 2007 from Vick’s Bad Newz Kennels fighting operation-- dogs that the judge would only release to Best Friends. 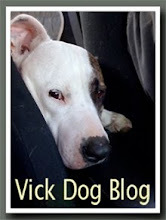 They came to the sanctuary in January of 2008, following Vick’s trial and the appointment by the court of a Guardian/Special Master to recommend appropriate placement of dogs seized in the initial raid. 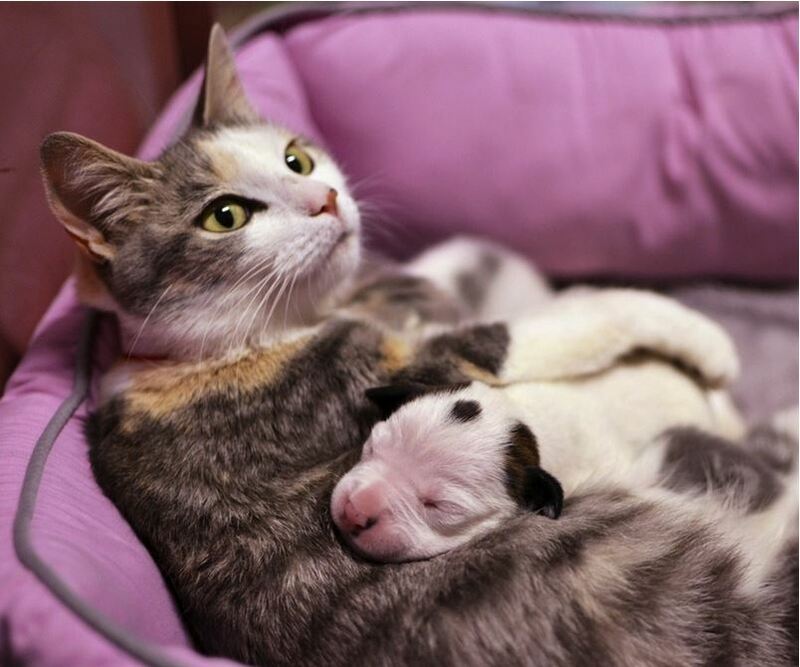 A Mama kitty caring for her own litter of kittens at the Cleveland Animal Protection League in Ohio is pitching in to help shelter staff care for a week-old pit bull pup who needs all the support he can get in order to thrive. Noland the pup came to the APL last week when he was just a day old, and is said to have been rejected by his mother. Mama kitty Lurlene has accepted Nolan alongside her babies, who are called Rivette, Espa, Zixi and Tallydab, and she mothers the puppy for about 9 hours a day. Shelter staff bottle feed Noland and take him home with them at night. APL President Sharon Harvey said, “Pups that old without their mom … their survival rate is pretty iffy,” in explanation of why they decided to see if Lurlene would accept Nolan into her litter. 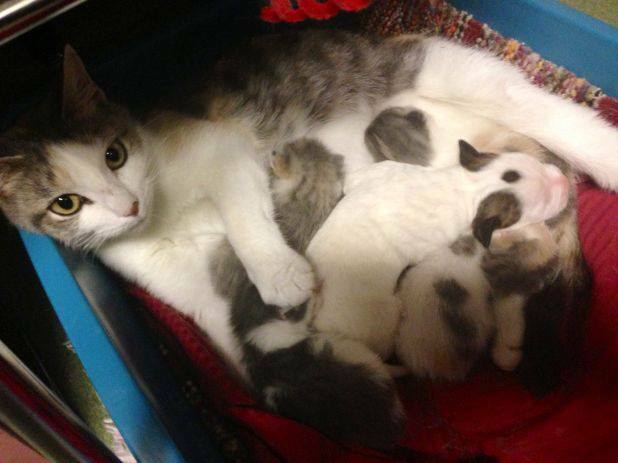 Lurlene and the kittens welcomed him with no problems. Noland will remain with the APL for as long as it takes to make sure he is strong, healthy and ready to be adopted. Lurlene and her little family. 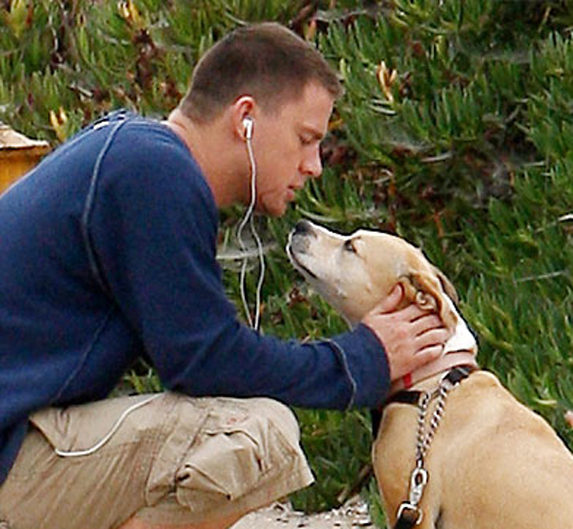 Here’s another reason to keep your eyes on actor Channing Tatum (Magic Mike, 21 Jump Street). 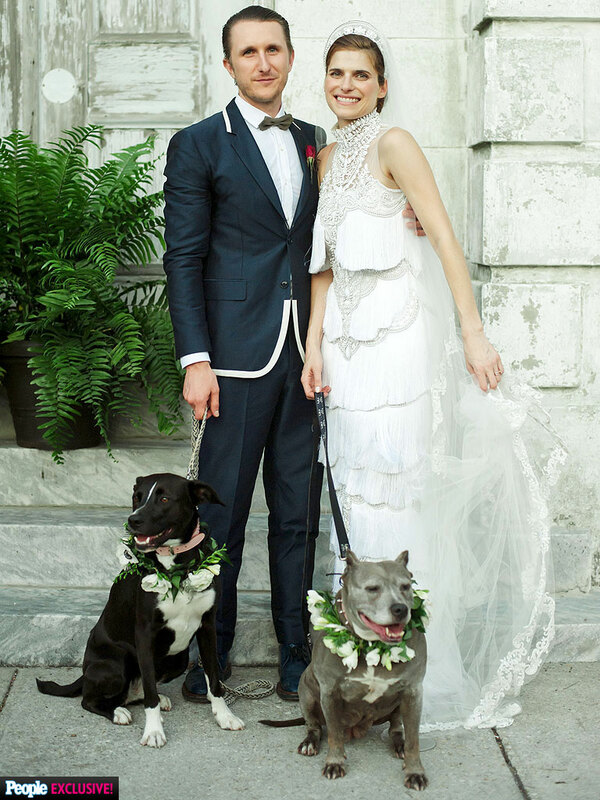 Channing has his very own pit bull mix, Lulu, who was adopted from a shelter in his home state of Alabama when she was just seven weeks old. He loves to dance with her, and not just any old dancing, either – Channing and Lulu like to reenact the famous scene performed by Jennifer Gray and Patrick Swayze in Dirty Dancing. Need proof? Check out the video below. 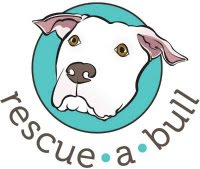 Actress Lake Bell, from The Practice and Boston Legal, found her pit bull Margaret through her agent, who just happened to be on the Board of Much Love Animal Rescue. One photo of Margaret and Lake was sold. Not knowing much at the time about pit bulls and their bad reputation in the media, Lake couldn’t understand why people would cross the street to avoid walking near her pit bull. 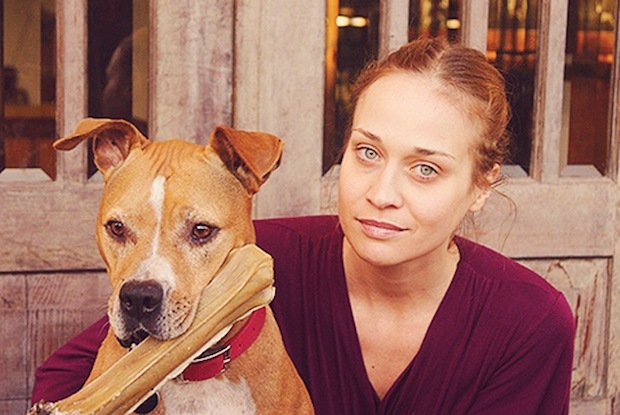 In an interview with The Pet Press, Lake explains, “My getting Margaret was based on pure connection. 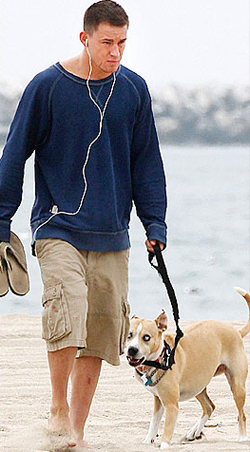 I had no idea that pit bulls were notorious or that there was any bad press about them. It’s weird. I just thought she kind of looked like the dog that was in The Little Rascals. I didn’t think of her as looking mean. She looked beautiful, and so kind and sweet, and she was a little timid when I first got her. She was just special.” A true story of love at first sight! People.com released Lake Bell and Scott Campbell's official wedding photo. They were accompanied by their "dogs of honor" Texas and Margaret. 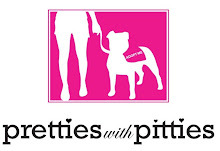 By then, I was 24 years old, and I'd met many other "Pit Bulls." So... 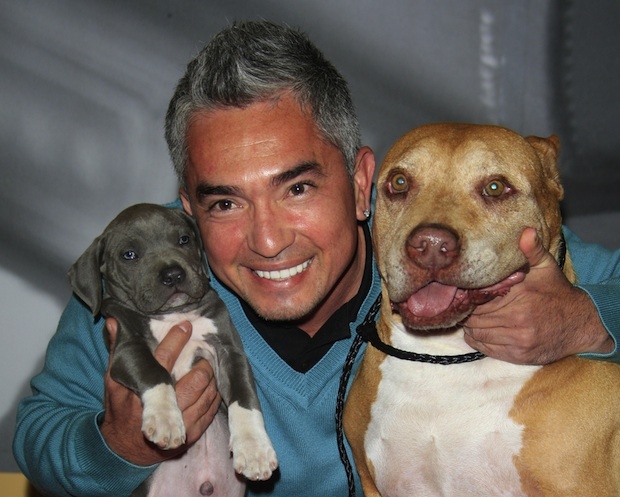 I knew a little more about these dogs, and I cared a lot more about them. But even still, at the time, I wasn't using my voice to help them, nor was I using my rescue efforts to save them. Instead, it took one dog... one "Pit Bull" ... to change everything. And almost every "Pit Bull lover" can name who "that dog" was for them. 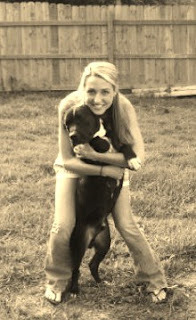 Because he was the "Pit Bull" who would change my life. He was the most amazing, incredible, loving dog I've ever known. And... he just-so-happened to be... a Pit Bull. In the minds of many, my rescue dogs were not "dogs" at all. Instead, I was saving "monsters." This realization changed me, in so many ways. I was hurt; I was angry; I was disgusted. Suddenly... I was on a mission... to prove every critic wrong. Because they WERE wrong. 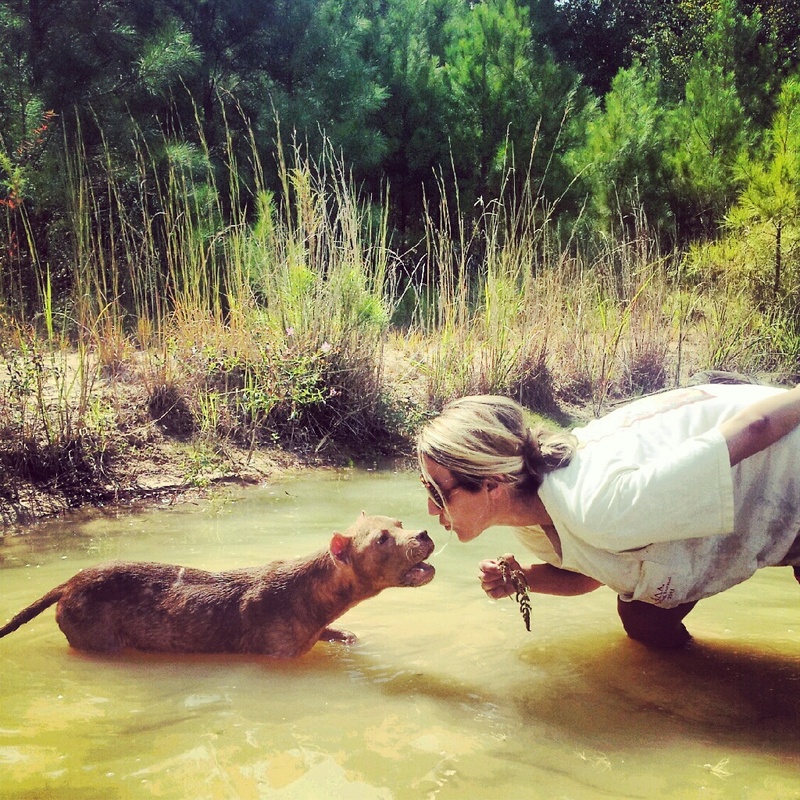 Trust me... it just takes one... to change your perspective.And that one "Pit Bull" ... just may change your life. In 2010 and 2011, I featured a story about the most amazing duo I've come across - a sweet little girl, Kylie and her beloved pit bull, Hercules. Those posts will forever be my favorite story that I will share on this blog. If you have not had the pleasure of reading them, they are here: first one, second one. Tonight, I read some news that I have been dreading ever since I first discovered this sweet pair. You see, Hercules has been battling cancer for five years. He has been holding on for so long, even after losing a leg, but he does not have much fight left in him. Hercules has touched hearts all over and he will never be forgotten. Here is the post from the photographer who introduced the world to a beautiful girl and her dog and the astounding bond between them. My good friend Hercules, the pit bull, has about 2-10 weeks to live. Cancer is getting the best of him and his time with us running out. Many of you know him, have met him at events or know him through the portraits of him that I have taken in the last few years. He has marched in several Luv-a-Bully marches, first with 4 legs and then with 3 legs and served as an “ambassadog” at many rescue events around Orange County. I met Hercules in 2009 at a Luv-a-Bully march in Brea. 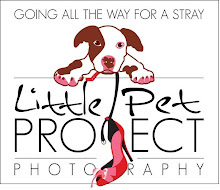 The march was a gathering of about 200+ pit bulls and their owners to dispel the public opinions that pit bulls were mean fighting dogs and protest BSL (Breed Specific Legislation). Dr. Paula Terifaj (now the owner of DogSpa) asked me to photograph the event and that is how I met Hercules and his family, Kylie (now 5) and mom Leslie. I snapped some photos of Herc and Kylie at the event and a few months later Leslie contacted me, in a panic, to do portraits of Kylie with Hercules because Hercules had cancer and she did not know how long he would live. Kylie was two then and Leslie was afraid that without photos Kylie would not be able to remember Hercules when she grew up. Since that time, the bond that Hercules shares with his girl Kylie has become a personal photographic project for me. The images of Kylie and Hercules together have touched many people and helped to change the negative perception some people have of the pit bull breed. The portrait work has served as a medium to communicate the true nature of pit bulls as protectors and kid-loving, furry balls of love. 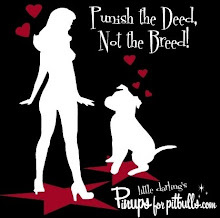 I know a lot of pit bulls!!! Of all of them, Hercules is the most loving, the most patient, and the best ambassador for the breed I’ve ever met. His work here on earth is just about done. I’ve captured some memories with the photography we’ve done, but it’s still so difficult for Kylie and Leslie to deal with the loss they will grieve someday very soon. I have been trying to think of something to do to help them and then today it hit me . . . I know we are all busy people, but I would like to make a simple but heartfelt request . . . send Hercules and/or his girl Kylie (who is now 5) a card or a note before he goes. Wish Hercules the best, send hugs, send notes of gratitude for allowing us to see what dedication and love is all about. Tell Hercules how brave he is to have fought cancer for 5 years. Tell Kylie and Leslie how you admire that they have cared for him so well these five years while Hercules had numerous treatments to keep his cancer at bay. I have tried to remember all of the people that Hercules has touched in his life, but I’m sure there are so many more. Feel free to share this message with anyone you know, that might know Hercules or be interested in his story. Tell everyone about him and spread his story far and wide. He’s a good dog and good pit bull and he’s leaving a big ‘ole pawprint on my heart and the hearts of many. Thank you so very much for caring about the breed we love. One of the first portraits of Hercules and his girl Kylie (Summer of 2010). This image is up on display in several Orange County location, has traveled all over the internet, and has been seen by thousands of people. Here are some shots from the session we did last summer. 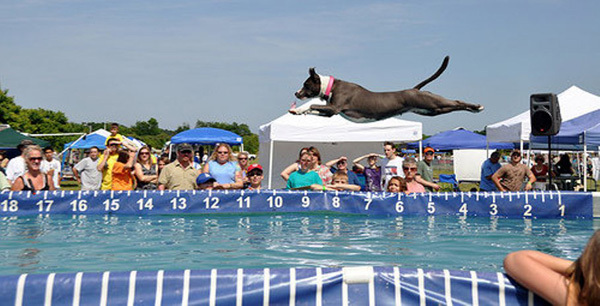 Some of these images are featured in the Unexpected Pit Bull Calendar 2013. This portrait was shot on April 24th. Hercules still seemed to be feeling OK but he was a bit slower and got tired a bit quicker. He still enjoyed being with his girl and I got more than a few kisses from him. 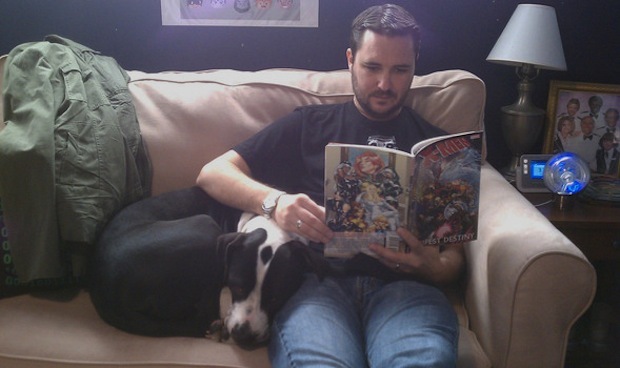 When I was done shooting I handed Leslie the camera and asked her to take a photo of me and Herc. I am so glad I did. Thanks Leslie for everything. In February of 2013 House Bill 5287 and Senate Bill 178, were introduced in Rhode Island. 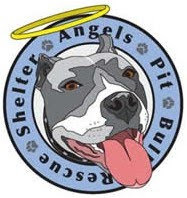 The companion bills called for state-wide regulation of the ownership of “pit bull” dogs and would have required, among other things, mandatory insurance, confinement, muzzling, and banned from walked within 100 feet of a school, and other severe restrictions. The bills would have created statewide BSL. In March of 2013, both bills were withdrawn by their sponsors. 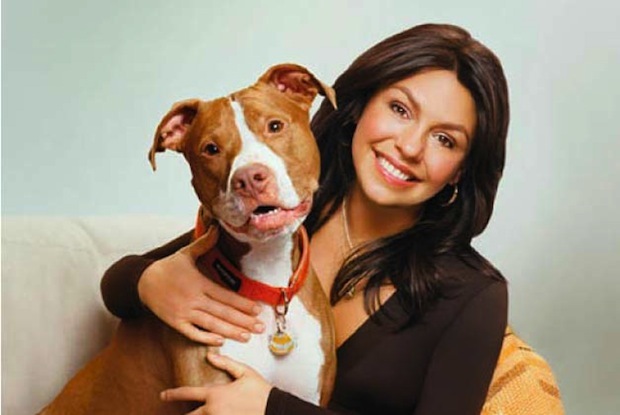 Last month a Rhode Island Senator introduced legislation targeting “pit bull” dogs. The language was some of the most inflammatory I have ever seen in legislation. But as I read the legislation it was clear that this was motivated from a place of deep emotion. 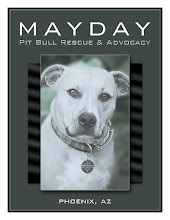 My experience as an advocate has taught me that almost every single instance of proposed breed specific legislation is motivated by emotion – a reaction to a single, frightening event. Or, maybe it is a reaction to something frightening that could have happened, but didn’t. 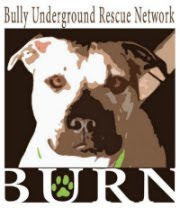 BSL is always fueled by fear and a desire to address the issue of safety. It’s always about the fear of not being safe in our own communities. We all want to feel safe. And that’s something we can all agree on. I called the senator who sponsored the legislation and asked him if he was willing to tell me about his motivation for filing the bill. In order to help him understand that I wasn’t calling to start an argument, I explained that while on the surface it may seem that we didn’t agree, that I was certain we really did. I explained that we both probably wanted the same thing: for ALL the citizens of Rhode Island to feel safe. So although the senator and I did not agree on how to get there, we shared a community of interest. We both agreed everybody in Rhode Island deserved to be protected from reckless dog owners. We had established common ground to stand on together. Turns out, I was the first person who had called the senator with solutions regarding building safe communities, instead of complaints. The senator asked me to speak with the constituent who had asked him to take up this legislation in the first place. I was glad to! 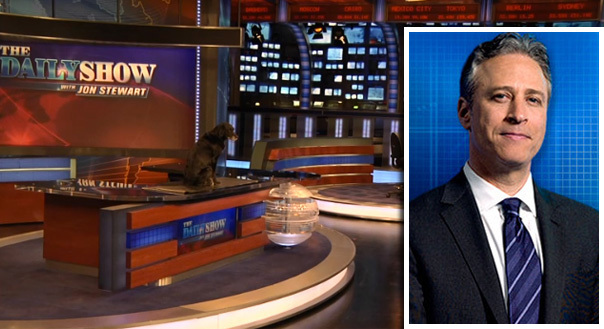 The constituent, a dog owner himself, had a very scary experience with a dog in his community. While they were out for a walk, another person allowed their dog to severely injure this constituent’s dog. The dog needed emergency surgery and lots of stitches. It was a legitimately terrible experience for this citizen and his family – they were afraid their pet was going to die. They had every right to be angry and frightened. I would have been too. Afterwards, there was a dangerous dog hearing regarding the incident. It became clear that the reckless dog owner didn’t care if his dog was destroyed. 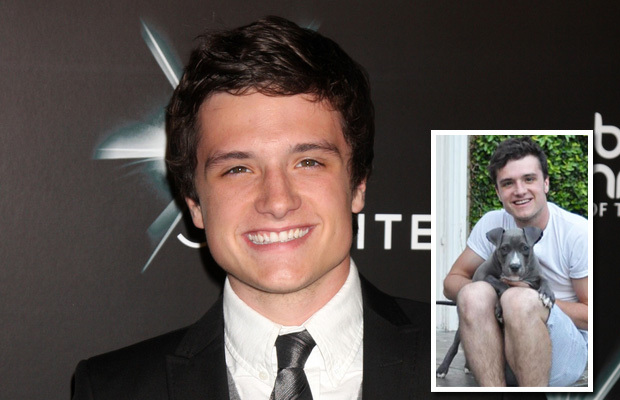 He’d simply get another dog if this one was gone. The dog owner was the problem – he’d failed to properly manage his dog – and he was the one to blame for the incident. 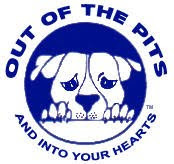 But since the victim does not live under the “pit bull” tent as so many of us do, he was susceptible to the incorrect notion that the “pit bull” was to blame for what happened to his dog. He believed that in order to prevent this sort of thing from occurring again, it was “pit bull” dogs that needed to be restricted. He didn’t want what happened to his family to ever happen to another family. He had exhausted all recourses allowed by law, but nothing had really changed. He knew he needed to do something to bring attention to the problem of reckless dog owners. So after months of meeting with his city council about this matter, this gentleman was given the opportunity to meet with his senator to discuss a legislative solution. 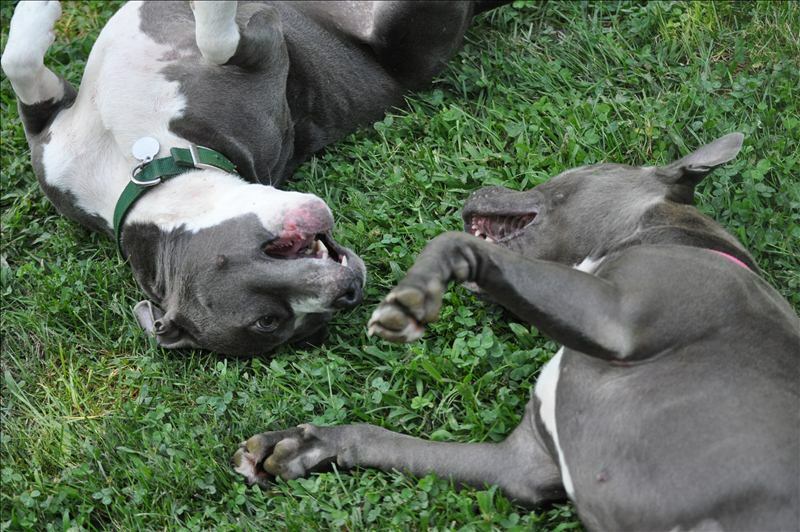 The result was that statewide breed specific legislation (BSL) was proposed in Rhode Island. Obviously, I do not agree with their legislative solution. But as a dog owner who would do anything to keep her pets safe, and as a human being who genuinely cares about the well-being of her friends and neighbors, I could understand why they felt like they needed to do something. I know firsthand what it feels like to live in a city where legislation (fueled by the acts of a single, reckless dog owner) would ultimately force me to either leave my home and my job, or surrender my dog to be killed, was being considered. I was afraid. And I no longer felt safe in my own community. And I also know what it is like to feel unsafe in my own neighborhood because a reckless dog owner will not properly contain his dog. I have a “pit bull” dog who is still too afraid to go for walks in our own neighborhood because he was bitten by the neighbor’s at-large dog. In talking with the constituent it turned out that we’re more alike than we are different. Instead of focusing on our disagreements, we started with our shared community of interest and our goals regarding building a safe community. 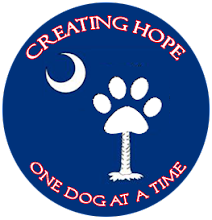 We discussed how BSL has never been proven to reduce dog bites and fails to increase public safety. 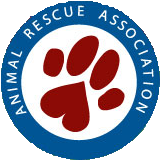 We agreed that in order to reach our shared goal – community safety – BSL was not going to be an effective solution for addressing reckless dog owners in Rhode Island. Together we determined that there was much room for improvement in how Rhode Island currently deals with reckless dog owners and that by focusing our efforts there – on addressing reckless owners of ANY dog – we could affect real transformational change in regards to increasing public safety. We looked at existing animal control laws and discovered where a lack of enforcement (of current ordinances) could be addressed. When current legislation isn’t being enforced, introducing new legislation makes little sense – why not try enforcing what you already have on the books, before introducing new legislation? We could both see that there were many steps we could take to improve community safety in Rhode Island, without banning dogs based on physical appearance or breed label. Today, there is still much work to be done, but all the stakeholders now agree that BSL is not going to be the solution. It’s worth noting that I didn’t attempt to influence the constituent’s decision by talking about how much I love “pit bull” dogs. I was not attempting to change how he felt about “pit bull” dogs. From the beginning it was clear that we were both on the same side, so I focused the discussion on our mutual interest in building safe communities and shared the research that shows BSL would not lead to an increase in public safety. BSL fails responsible “pit bull” dog owners, such as myself, and it fails our neighbors and fellow community members, such as this gentleman. We all wind up losing with BSL, no matter what side we’re on. The takeaway here is that there is no us vs. them when it comes to wanting to be safe in our own communities. I am absolutely certain of this. Responsible dog owners (of all kinds of dogs) and various community members typically have more in common than it might seem at first. On the surface it seems as if we are worlds apart, but remember: safety is the goal for everyone. We all want to be safe. Rather than creating a divide based in misunderstanding and anger – us vs. them – we can start the conversation from the common ground we all share: a desire to be safe in our own communities. 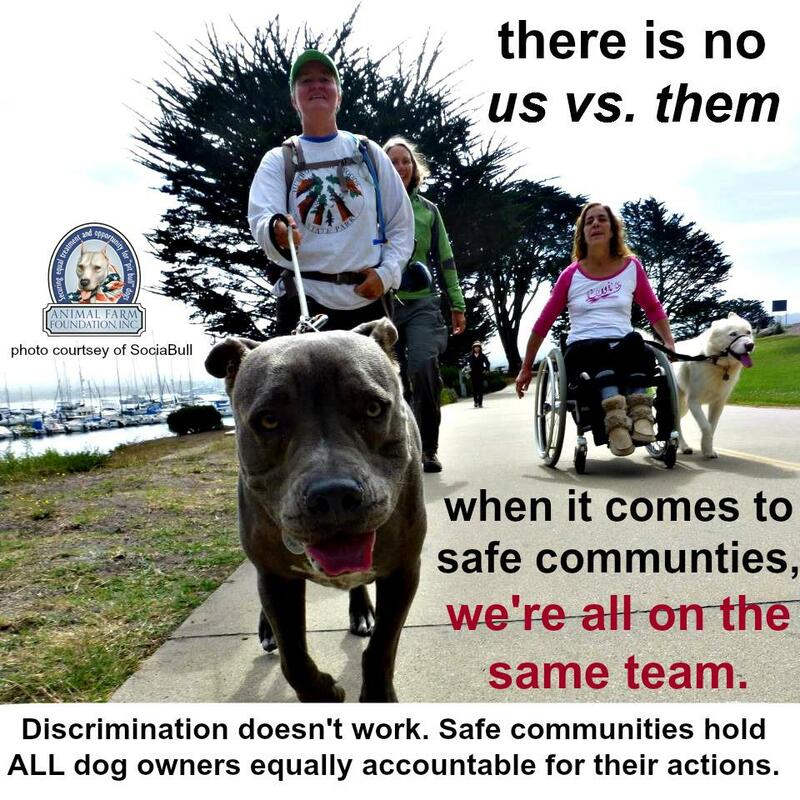 Safe from reckless dog owners and safe from ineffective, discriminatory legislation. That how real solutions which truly benefit everyone are achieved. I think that the us vs. them syndrome is rooted in the chronic fringe that dances around those of us who are working hard to make a difference. 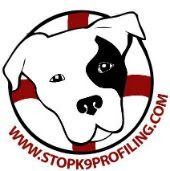 On one side, there’s the anti-”pit bull” dog, agenda-based hate groups that masquerade as champions of victims’ rights. On the other are the arrogant, reckless dog owners who disregard basic ownership laws allowing their dogs (“pit bull” dogs or any other dog) to become a nuisance or a threat to all of us. Both are the exception. They are on the far ends of the spectrum and have little in common with the majority of us who live together and are working towards fair, safe, effective solutions. These fringe groups do not get to define how the rest of us interact with one another. Let’s refuse to play this divisive game of us vs. them. We did. Together, we found a common ground solution that benefits all the people of Rhode Island. You can do this too. You don’t need to be the Executive Director of a non-profit or even a member of a group to build bridges and let the “other side” know that you understand their concerns and want to work with them to create safe communities for all of us to enjoy. We’re all more alike than we think. 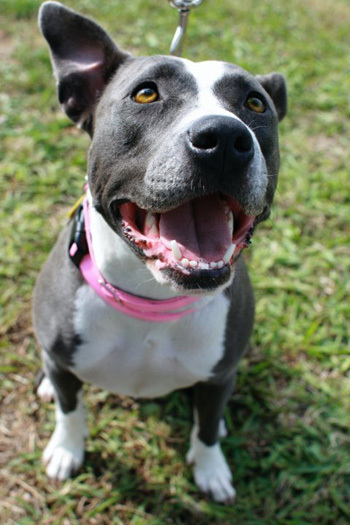 The same goes for the dogs: “pit bull” dogs are not uniquely different than other dogs – for worse OR better. The way to move forward effectively isn’t to get stuck championing how different or special or unique our dogs are or by spewing anger at the other side. We can accomplish so much more if we focus our energies on what we have in common. We’re all on the same team. We all want safe communities. 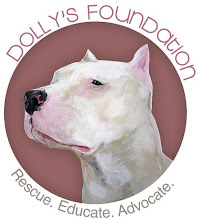 For more information, please watch our presentation on Breed Specific Legislation. What happens when you promote “pit bull” dogs for adoption and advocate for their fair treatment while ALSO communicating outdated, fear-inducing information about the very same dogs? We’re betting the public are left scratching their heads when organizations that are seemingly FOR “pit bull” dogs, are simultaneously putting out information that makes the dogs they’re advocating for look like highly deviant, potentially even deadly, dogs. Think we’re exaggerating? 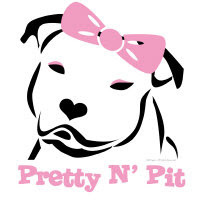 A quick look around the Internet and various “pit bull” advocacy pages and the average person – who may have no prior information about “pit bull” dogs – will discover subtitles such as “Pit Bulls: Never Trust Them Not To Fight,” among other inflammatory and subjective pieces. If our mission is to promote the adoption of “pit bull” dogs from shelters and to advocate for breed neutral laws that do not discriminate, then what purpose does it serve to scare the public sideways, with articles that perpetuate fear and have little to do with the individual dogs themselves? during play groups. No breed-specific warnings necessary. That kind of tired, negative information promotes fear not fact, and hardly supports our collective work to end canine discrimination and save lives. 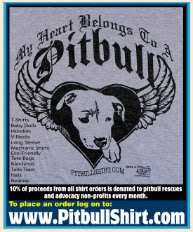 Could it be that some advocates and organizations don’t consider “pit bull” dogs to be normal dogs? That’s the only conclusion we can come to based on the inflammatory information we find on various “pit bull” advocacy websites, such as “because of their strength and fighting ability, Pit Bulls can easily do a lot of damage in a short period of time.” After reading breed-specific hype like that all over the web, how can we expect anyone to adopt a dog labeled “pit bull” or not be afraid of them? The very people who are supposed to be advocating on behalf of the dogs are making them look like deviant monsters, set apart from all other canines. 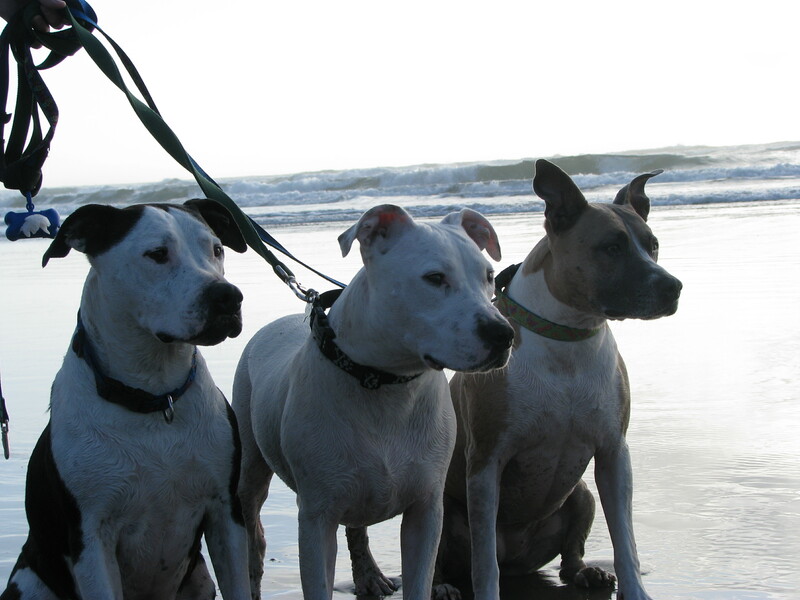 know “pit bull” dogs by learning more about DOG behavior. In short: Scare tactics are not resources. And further: our opinions are not facts, even when they’re based on our personal experiences. “Pit Bulls” are dogs. The behaviors they exhibit are DOG behaviors. 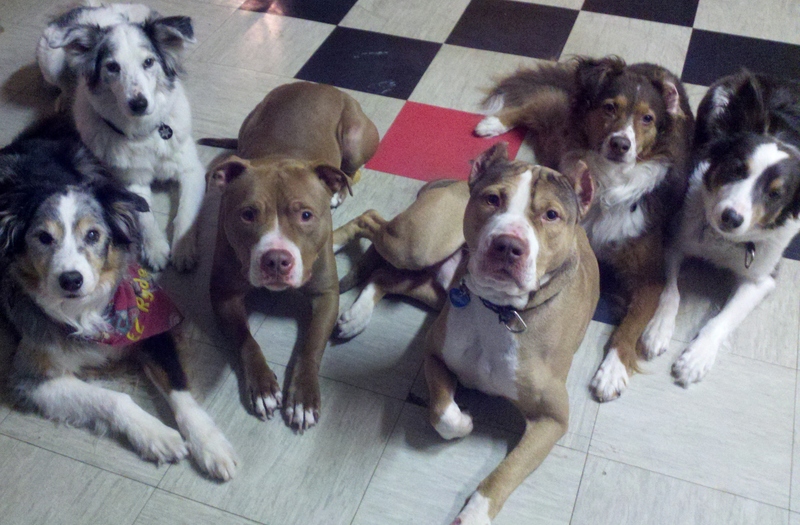 And not a single one of these canine behaviors are unique to “pit bull” dogs alone. 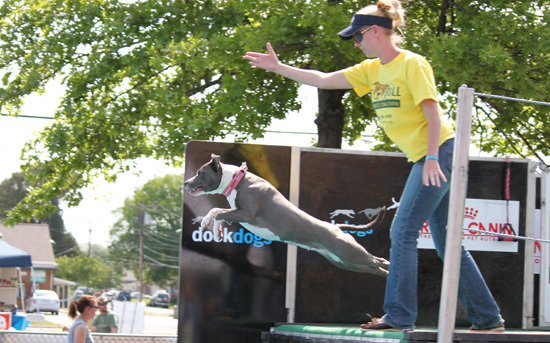 But just looking at the websites with “pit bull” dog resources would make anyone think that “pit bull” dogs are in need of highly specialized, vigilant, and skilled handling…or disaster will strike. If advocates use fear in order to get the public to be responsible (like some sort of canine “Scared Straight!” for dog owners), they’re missing the point. ALL dogs need responsible owners. 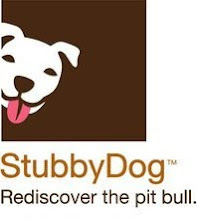 We don’t need to make “pit bull” dog owners afraid of their own dogs in order to discuss responsible dog ownership or give them excellent resources to help them set their dogs up for success. Fear-based generalizations aren’t helping the dogs. breed-based generalizations that may cause more harm than good. It is our responsibility as advocates to constantly re-examine our language, the information we’re sharing, and the research that we’re promoting. Rather than weeding out old content published back in the ‘00s, many sites have kept outdated, inflammatory posts and information on their websites and in their resources. 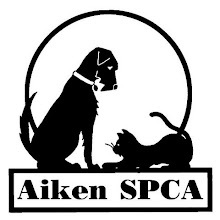 This information, published years ago, might have been the best information and advice available at the time, but in the progressive world of animal sheltering and canine research, five to ten years is a lifetime ago. Our work has changed, as the information and research we’re privy to changes. The dogs are depending on us to stop adding to their problems by recycling old content and tired warnings. Stereotypes, myths, generalizations, and opinions that are floating around the internet are promoted and perceived as fact. We owe it to the dogs to be vigilant in the information we provide to the public, even when that means admitting we were wrong in the past or that new information has come to light. We must also be aware that what we say might be misunderstood in and outside of the animal welfare world, resulting in serious, real life consequences for the dogs and their people. And we need to stop using fear and warnings in place of solid, fact-based information and resources. The dogs need us, the experts, to revamp the outdated information that perpetuates the misperception that “pit bull” dogs are uniquely different than all other dogs and further marginalizes them in shelters, in the law books, and even in the homes of the people who love them. Fear isn’t Fact. (2) Dress to impress. There’s a time and a place for our doggie t-shirts and sweatshirts; a formal political meeting is not it. We’ll be taken more seriously if our attire conveys professionalism and respect. And if you’re like me, your dog/advocacy paraphenalia is ragged from wear and tear. Politicians are not impressed by this. They wear formal ”work” clothes to these things, and so should we. (3) Avoid the “isms.” It’s tempting to compare discriminatory dog laws to racism, the holocaust, fascism, and other social atrocities. Don’t. It especially insults people who have experienced those “isms” firsthand, and your legislators could be one of them. 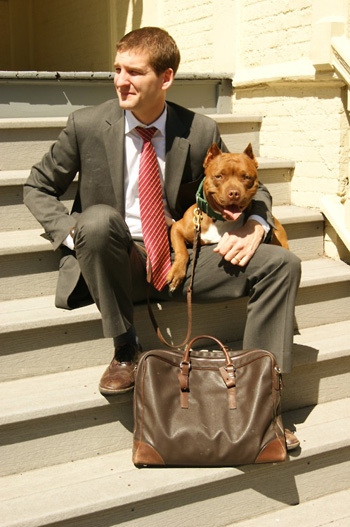 A Washington Post column noted, “Nazi comparisons are the most extreme form of political speech; once one ties his political opponents to the most deplorable chapter in human history, all reasoned argument ceases.” In an Ohio hearing to discuss the repeal of state-wide breed specific legislation (BSL), one committee member was so offended by a comparison of BSL to racism that she walked out of the room. You want/need them to stay in the room. (4) Don’t come empty handed. When you speak, it’s important to present the facts, studies, and research to demonstrate that discriminatory dog laws have never resulted in increased public safety. But don’t expect the legislators to remember everything you said. Instead, present them each with hard copies of what you cited. Having one printed copy per legislator shows respect and makes it easier for them to digest everything. They probably received countless emails on the topic, so delivering these materials in person increases the chances they’ll really read it. It might not save the trees, but it could save the dogs. (5) Propose a solution. There’s a good chance you’ll convince legislators that discriminatory dog laws are not effective, but don’t forget the most important part: the solution. A small town Mayor once told a room full of dog advocates, “You all say that our proposed ordinance is not the answer, but none of you has proposed an alternative plan.” Once an elected official proposes legislation, it’s hard to go back on the promise to take action; even though their opinions may change, they still feel the need to “do something.” Propose that something. It can be as simple (and effective!) as enforcing existing leash laws, fining owners who don’t license their dogs, or partnering with community groups to offer low-cost vaccination and microchip clinics. If the legislator can claim this as his own idea/solution, even better! But spell this out for them, so they can take action. (6) Focus on public safety for people. Legislators are interested, first and foremost, in ensuring public safety for their voting constituents. So frame your arguments in ways that appeal to their goal. They may or may not care how much you love your dog, and sadly, they may or may not care about the plight of dogs in your community. But they will always care about public safety to people. Fortunately, effective dog laws also enhance public safety for people. These are the points you want to stress. Help legislators understand that this is not a zero-sum game; the existence of your dog does not come at the expense of humans’ wellbeing. (7) Share your stories strategically. Telling legislators how much you love your dog doesn’t always change minds, especially if they mistakenly believe your dogs exist at the expense of public safety. Instead, tell stories of how your dogs have benefited the community. Is your dog a therapy dog? Describe how he’s enhanced the lives of vulnerable people in your community (e.g., isolated seniors, children with special needs). Do you spend money on your dog? State the dollar amount you pay annually to local business owners (e.g., veterinarians, pet food stores, dogwalkers, trainers) because of your dog. (8) Practice your poker face. This is a tough one, especially when emotions run high. But the dogs are counting on you to be polite and in control of your words. There’s a good possibility that a legislator (or another audience member) will say something hurtful and offensive about you and/or your dogs. Don’t let this catch you off guard; get a friend to practice insulting you (for real!) and test out your poker face. If you can’t stay collected after hearing these insults, better to find out now rather than in public and on record. Also, don’t moan-and-groan, roll your eyes, whisper to the person next to you, or tsk-tsk when someone says something offensive. Reacting that way will hurt, not help, your case. (9) Introduce yourself to legislators after the meeting. When the meeting is over (and you’ve stayed to the end, of course! ), kindly introduce yourself to the legislators – even the ones on the other team. Shake their hand. Look them in the eye. All of this puts a human face on the issue, and those simple interactions can go a long way in humanizing the issue. And it’s a good business practice. (10) Say thank you. When you’re shaking hands, thank the legislators for being concerned about public safety. In doing so, you can reiterate that you share this goal. 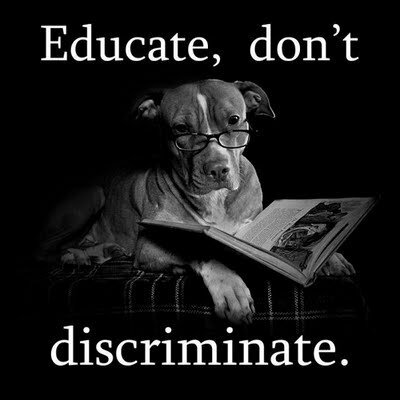 For more information on challenging discriminatory dog laws, visit Stop BSL, Bless the Bullies, the American Kennel Club, the United Kennel Club, or the National Canine Research Council. The SPCA worker knew about the frightened little pit bull running through her neighborhood, and frequently tried to get her in off the streets. Due to sheer determination on the part of the SPCA worker, the little pit bull finally ended up in the shelter, afraid, heartworm positive, and very pregnant. Within a week, little pit bull puppies were born. As is too often the case, the puppies were adopted, but mom was left behind. One of those puppies went home with Ashley Rogers, but had to return to be microchipped. 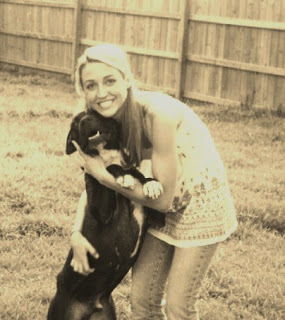 During that return trip, the shelter worker asked Ashley if she would like to meet her puppy’s mother. Ashley said “yes” and was led to an office where the little mommy pit bull was residing during her heartworm treatment. 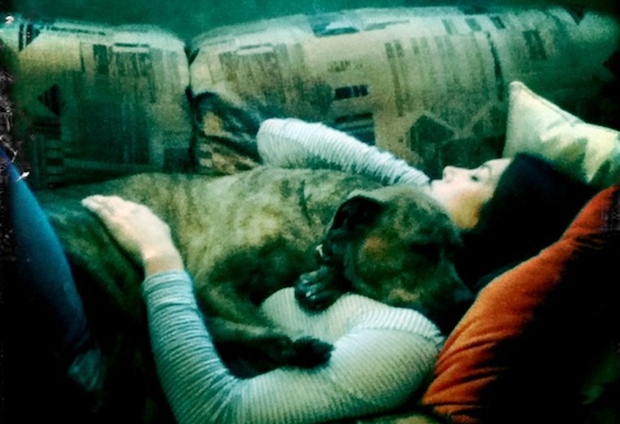 When Ashley sat down, the mommy pit bull placed her head in Ashley’s lap. The shelter worker started crying, because this was the first time that the little pit bull had voluntarily gone near someone, much less put her head in someone’s lap. It was fate, and the little pit bull was adopted and named Raja.